If taken a pen or pencil to sit and mark the best parts of the book, then maybe the whole book has to be highlighted. The book remains with the reader for a long time even after the completion of the book! The Almond Tree by Michelle Cohen Corasanti is the most stunning debut book I have ever read. On the back cover- Gifted with a mind that continues to impress the elders in his village, Ahmed Hamid struggles with knowing that he can do nothing to save his friends and family. Living on occupied land, his entire village operates in fear of losing their homes, jobs and belongings. But more importantly, the people fear losing each other. On Ahmed’s twelfth birthday, that fear becomes reality. With his father imprisoned, his family’s home and possessions confiscated, and his siblings quickly succumbing to hatred in the face of conflict, Ahmed begins and inspiring journey using his intellect to save his poor and dying family. In doing so he reclaims a love for others that was lost through a childhood rife with violence and loss, and discovers a new hope for the future. 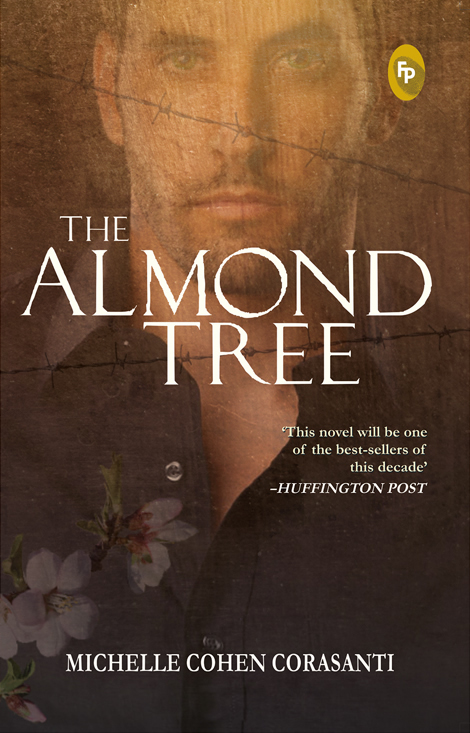 The Almond Tree humanizes a culture and brings characters from a distant land to life. A mesmerizing, mind blowing tale! Well, I do not know what to write about the book. It has left me flabbergasted. A tale which would drive the readers to think about the human courage, an eye-opener book I must say! This is maybe the first book for which I am not getting any words to describe. The Israeli-Palestinian conflicts, the ruthless side has been showed in the novel. This is one book which would remain with me as the most treasured debut book of this decade! The wonderful narrating, description style of the authoress makes this book one unputdownable book for the years to come. The way the authoress has written this book makes all the readers visualize every element of it. The after effect remains with the readers so much that they can’t even start a new book for a long time! A must-read for readers of all age groups. For now, I would like to give this book a 5 out of 5 or even more if there were desperately waiting for many more from the writer!